Published last week in Conservation Letters, the analysis began as a class project at William & Mary’s Virginia Institute of Marine Science. 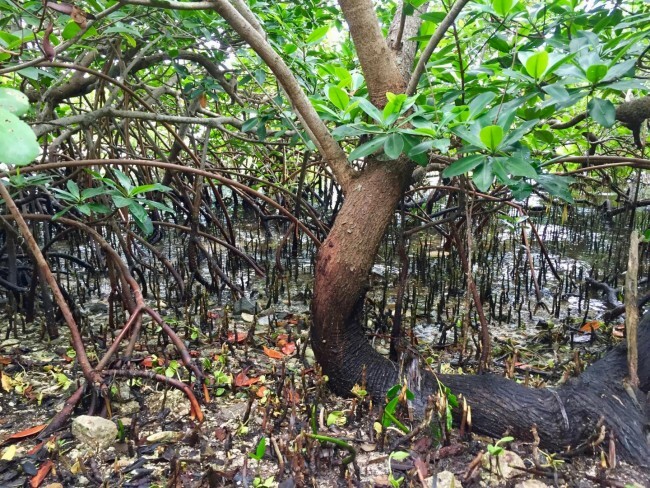 In addition to mangroves and seagrasses, “structured” marine habitats include marshes, coral and oyster reefs and patches of rock or rubble. Scientists have long considered these habitats better nursery grounds than flat stretches of seafloor sand or mud because of their many elevated nooks and crannies; the team’s analysis was designed to test this idea and determine the relative value of different structured habitats for juveniles of marine species. In an increasingly common approach called a meta-analysis, the team began by searching the published scientific literature using a long string of terms including “nursery” or “habitat complexity” and “marine” or “estuary.” They used additional criteria to winnow their search results to a core group of 160 studies that had compared the performance of juvenile organisms in structured and unstructured habitats. These studies, conducted worldwide between 1986 and 2016, included 11,236 statistical comparisons of juvenile success. The team then analyzed these comparisons for both general conclusions and specific nuances.